I have to admit I’m not buying many books at the moment. I see many books which look interesting, but I don’t quite get round to buying – I persuade myself I really need to finishing reading all the books I have at home first. And we do have a lot of books. However, there is always a book for which I have to make an exception and at the Festival of Quilts, I had no hesitation in immediately purchasing Cas Holmes’ new book ‘Stitch Stories’ which had only come out that week. And I haven’t regretted it. 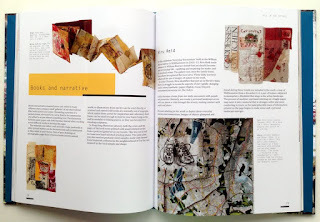 It is a great book – exactly what I am looking for in a book on textiles at the moment. 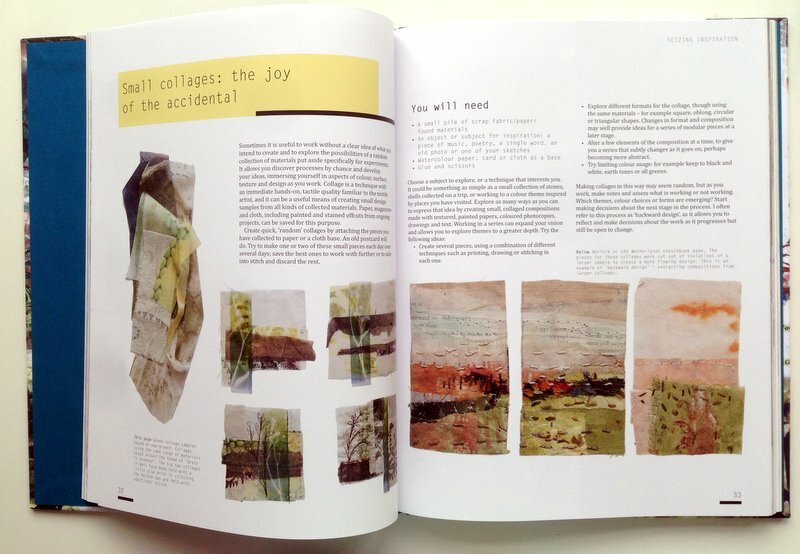 It showcases the work of a diverse range of artists, mainly working in stitch. It isn’t just the usual suspects, which is fab as it introduces me to a whole new range of artists to go and look up and to explore their work. Cas must have a wonderfully inquisitive mind to be aware of not just these artists, but the exhibitions and techniques she also references. To be able to pull all of these artists together into one book shows how much goodwill she can generate – she must be a generous spirit. 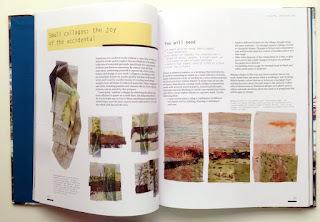 Cas displays a fantastic breadth of knowledge in the book, covering many ideas and techniques, all related with storytelling through textile art. I appreciate the book more, because it is not a ‘how-to’. It doesn’t have any projects. 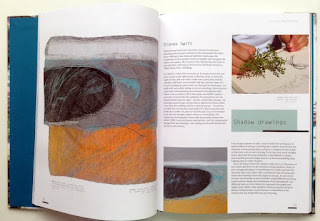 However, it does go briefly into some of the techniques Cas uses in her own work and by other artists. The book also has photos of sketchbooks and work in progress, which is always fascinating. I really like the idea of ‘shadow drawing’ that Cas suggests and will definitely be trying that out soon (when the sun finally shines...). A word on the way the book is made: it is gorgeous. At a very basic level, Batsford textile books now have fabric covers, which feel lovely – a fantastic move. The photographs are luscious and make me want to get straight into the studio and start working – always a good thing! It is quite a scholarly book, with many quotations from catalogues and thinkers in the textile field as well as Cas’ own thoughts. It is a book which will repay many reads; one to keep coming back to for inspiration and to egg me on to keep creating meaningful work. 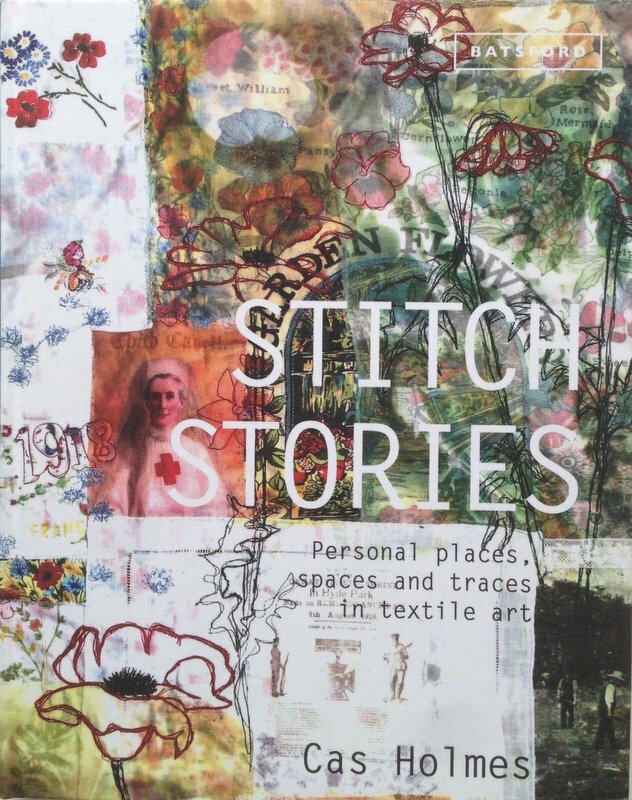 If you are looking for a good book about textile art today, I can’t recommend this one highly enough. Thanks for the review. I ordered it this week and the magical mail portal promises it will be delivered tomorrow. I am hoping for a weekend of reading and enjoy the sunshine. Hope you are doing the same. I'm sure you will love it Jeannie. Have a great weekend. I've got my C&G Diploma class here and I've invited some experts on historical quilts. I'm really looking forward to it. It will be available in Canada in early September...going to put it on my wish list with amazon.ca! I would definitely do that Margaret. I think you'd really enjoy this book. My wish list is huge though and I'll never manage to read all of it! It was one that I had meant to get around to buying at FOQ but circumstances prevented me. Interesting to hear another opinion about Batsford as I hate their new 'fabric feel' covers and find them quite uncomfortable to touch! That's interesting you don't like the cover Maggi as some friends and I all seem to find it rather attractive. I'm not sure how it will wear though. It's good that we don't all like the same thing - hope it doesn't put you off their books as Batsford is publishing some appealing looking titles at the moment.